For some inexplicable reasons vim-editorconfig stopped working with my latest build of neovim. I am not sure why and I haven’t have enough time to debug it properly. As a workaround I have temporarily (?) switched to editorconfig-vim. The former plugin is all written in VimL, so it was not problem to extend properties it supports by two more ones spell_enabled and spell_language corresponding to spell and spelllang vim options respectively. The later plugin is in Python and it is a bit more complicated, but fortunately it has an explicit hook for custom plugins. Serverless, Knative and FaaS will change your workflow as much as any change to design patterns in your career. In this video, Red Hat’s Kamesh Sampath will deep dive all about Knative. CVE-2016-10739 has been around since April 2016 as implied by the number and finally today this security issue has been fixed in the Git development code for the upcoming Glibc 2.29 GNU C Library. 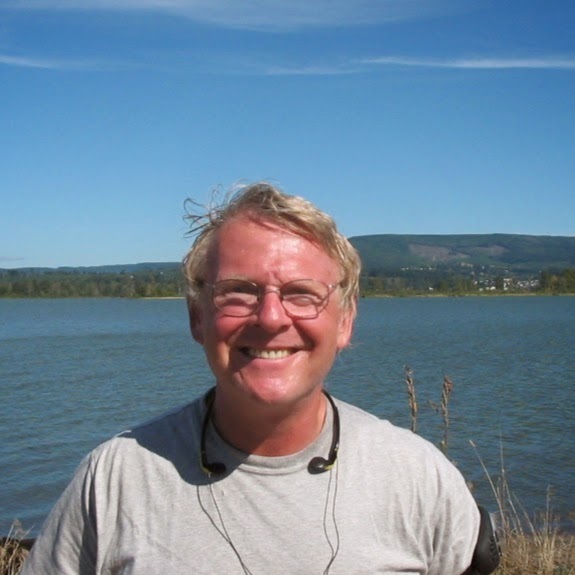 Bill Kerr has taught Linux Foundation courses in Linux Kernel internals, debugging, device drivers and application development for many years. He helped write the original Linux Foundation Training course materials and has been working with UNIX kernels for 35 years. Linux system administrators are in high demand these days and many hiring managers say they're having a hard time finding talent to fill their open positions. 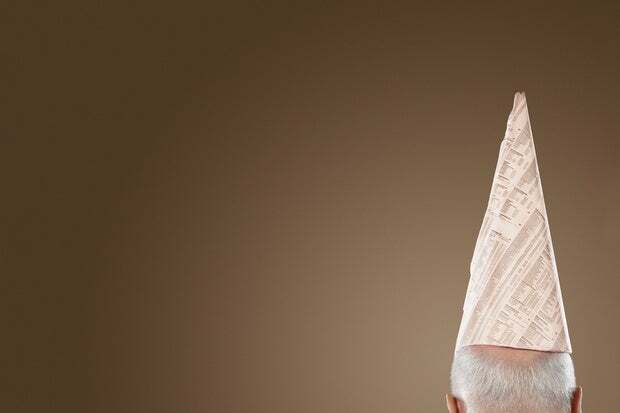 It's critical, then, for companies seeking skilled admins to hone their recruiting process in order to stay competitive – and this starts with writing an effective job posting. Unfortunately, many companies aren't hitting the mark. Job postings for sysadmin positions are largely similar; they’re boring and generic, according to New York City-based recruiter Steve Levy. hijacking the GIMP project account to distribute adware/malware. People have been wary of SourceForge ever since they added a feature to allow projects to opt-in to adware bundling, but you could at least claim that projects are doing it by choice. But now that SourceForge is clearly being malicious, they’ve wiped out all of the user trust that was built up over sixteen years of operating. No clueful person is going to ever download something from SourceForge again. If search engines start penalizing SourceForge for distributing adware, they won’t even get traffic from people who haven’t seen this story, wiping out basically all of their value. The takeover of the SourceForge account for the Windows version of the open-source GIMP image editing tool reported by Ars last week is hardly the first case of the once-pioneering software repository attempting to cash in on open-source projects that have gone inactive or have actually attempted to shut down their SourceForge accounts. Over the past few years, SourceForge (launched by VA Linux Systems in 1999 and now owned by the tech job site company previously known as Dice) has made it a business practice to turn abandoned or inactive projects into platforms for distribution of "bundle-ware" installers. Despite promises to avoid deceptive advertisements that trick site visitors into downloading unwanted software and malware onto their computers, these malicious ads are legion on projects that have been taken over by SourceForge's anonymous editorial staff. 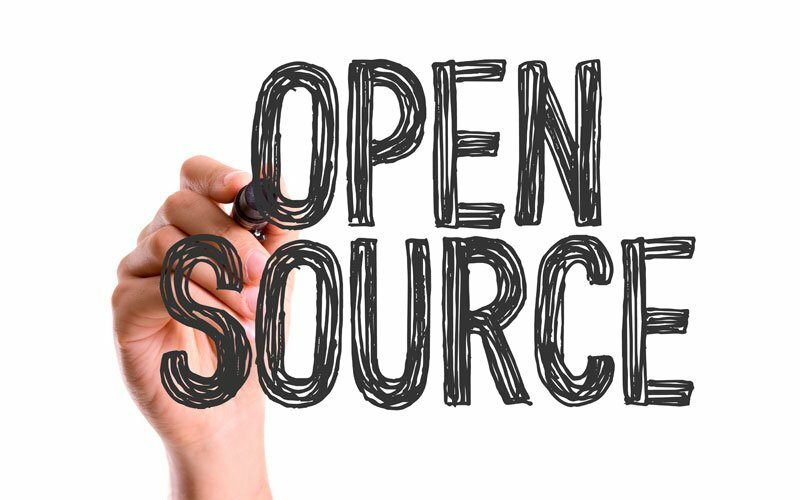 SourceForge's search engine ranking for these projects often makes the site the first link provided to people seeking downloads for code on Google and Bing search results. And because of SourceForge's policies, it's nearly impossible for open-source projects to get their code removed from the site. 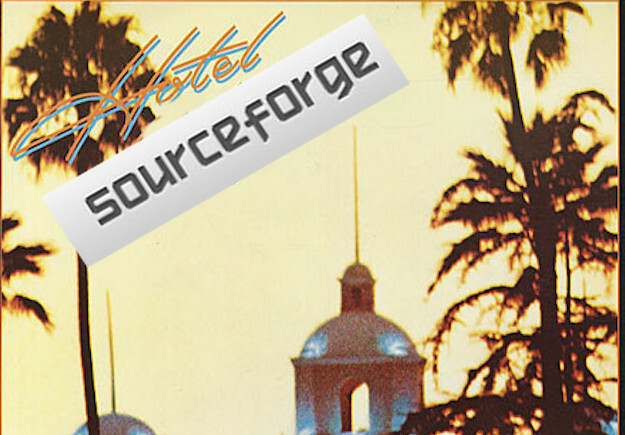 SourceForge is, in essence, the Hotel California of code repositories: you can check your project out any time you want, but you can never leave. It looks like SourceForge has taken over the account of GIMP user Jernej Simončič who was maintaining the Windows version of the project. SourceForge, the code repository site owned by Slashdot Media, has apparently seized control of the account hosting GIMP for Windows on the service, according to e-mails and discussions amongst members of the GIMP community—locking out GIMP's lead Windows developer. And now anyone downloading the Windows version of the open source image editing tool from SourceForge gets the software wrapped in an installer replete with advertisements.